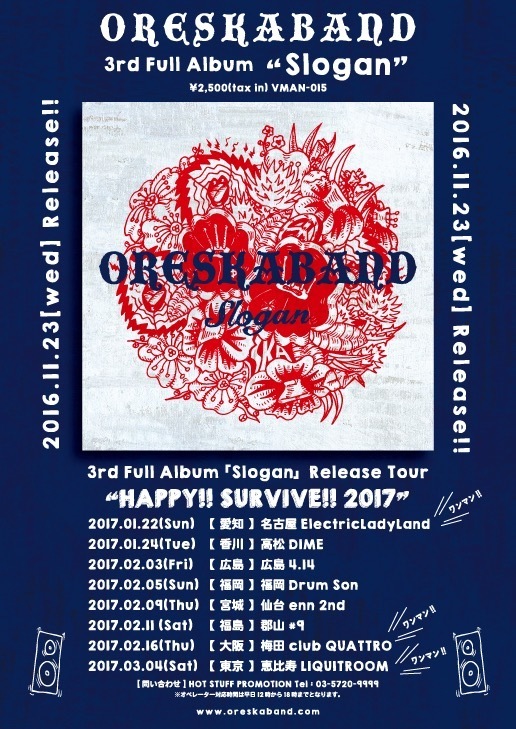 3rd Full Album 「Slogan」Release Tour "HAPPY!! SURVIVE!! 2017"